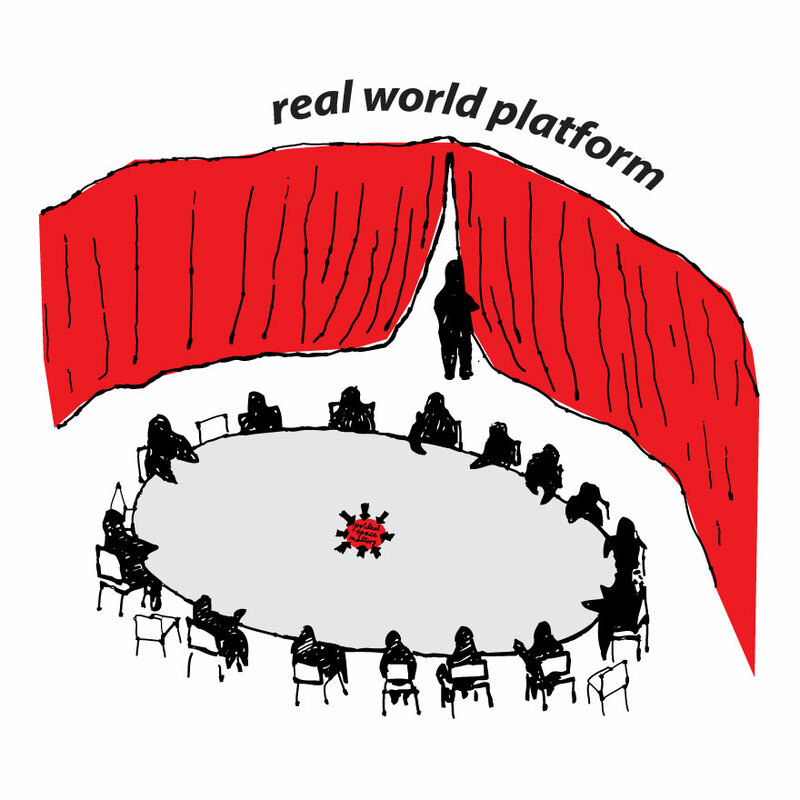 The clear focus on urban actors and the combination of virtual and analog components are the unique components of the suggested platform. Firstly, we are focusing on urban actors because, despite their enormous influence on city life, they do not yet have a platform. This seems almost ridiculous considering the fact that even people who really like to chew ice – to name only one of many strange examples – have a platform where they can encounter each other, exchange news and talk about … well … chewing ice! 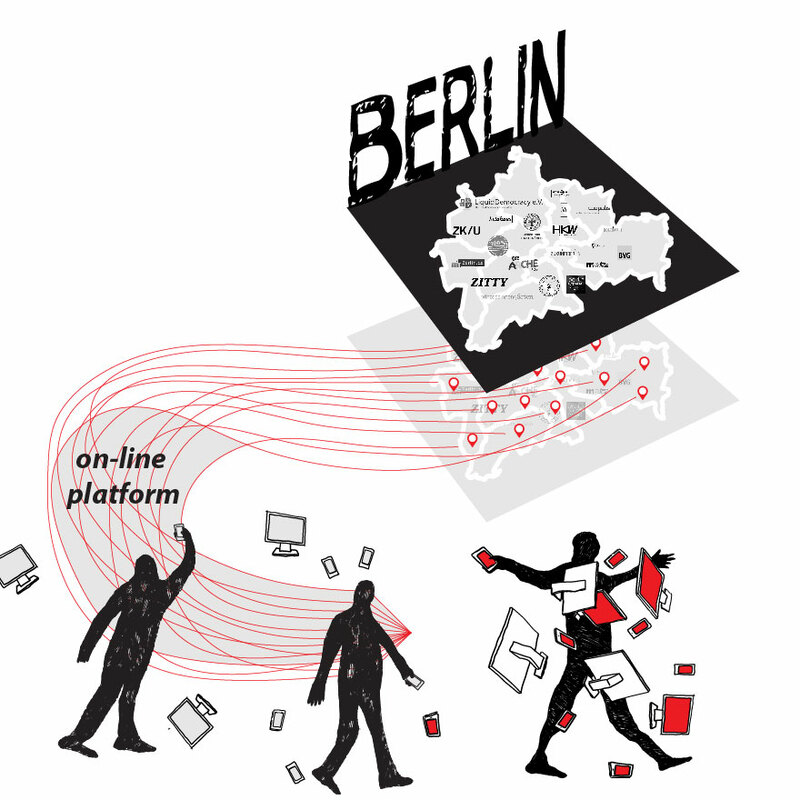 To be sure, it is possible to find some information about many – though by no means about all – urban actors online. But what we find (relevance, up-to-dateness, degree of detail, factual truth etc.) and how the information are presented (coherence, design, eloquence, format etc.) varies a lot. These variations obviously have different reasons (money, experience, time, interest, skill, networks etc.). What is more, all these information about different urban actors are scattered all over the internet. Hence it is a very troublesome quest: getting an overview of urban actors and their actions is time intensive and requires expert knowledge; and understanding their networks is almost impossible. After all, the fragmentation of info is very annoying not only for everybody who is looking for them, but also for those trying to provide them. Therefore we suggest to create one place where many or even most of the urban actors of a city are listed. A place where it is possible to find detailed information about urban actors, about what they are doing or going to do, and about the networks that exist between them. Secondly, we advocate a combination of virtual and analog components because we are convinced that only by linking the internet with the city, the platform can measure up to our expectations. Today, it would be a huge mistake to ignore the virtual world because more and more people spend more and more time online, because different platforms have proven that they can reach and interact with more people on the internet than they could ever hope to do in the real world and, last but not least, because we with every new generation of “smart” devices we become more convinced that technology, rather than people, will change or even save the world. On the other hand, we still live together in the real world, and no technology, no matter how advanced, will ever be able to solve the problems or replace the joy that arises directly from our living together in the city. Hence we suggest to invent, to design, to programme and to host not only a website for urban actors but also a space in the city. A space where most of the information that are available online are made available in physical form, but also and above all a place where urban actors and everybody who is interested in urban affairs can come together, connect and act.